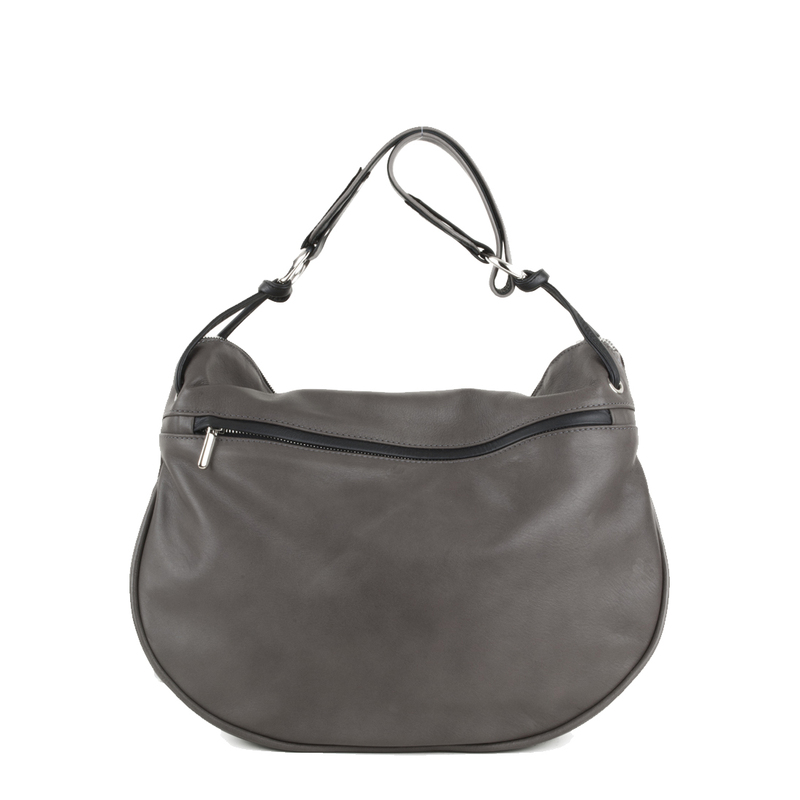 The Matilda in grigio is a bigger version of the Milly, she is the perfect bag for everyday. 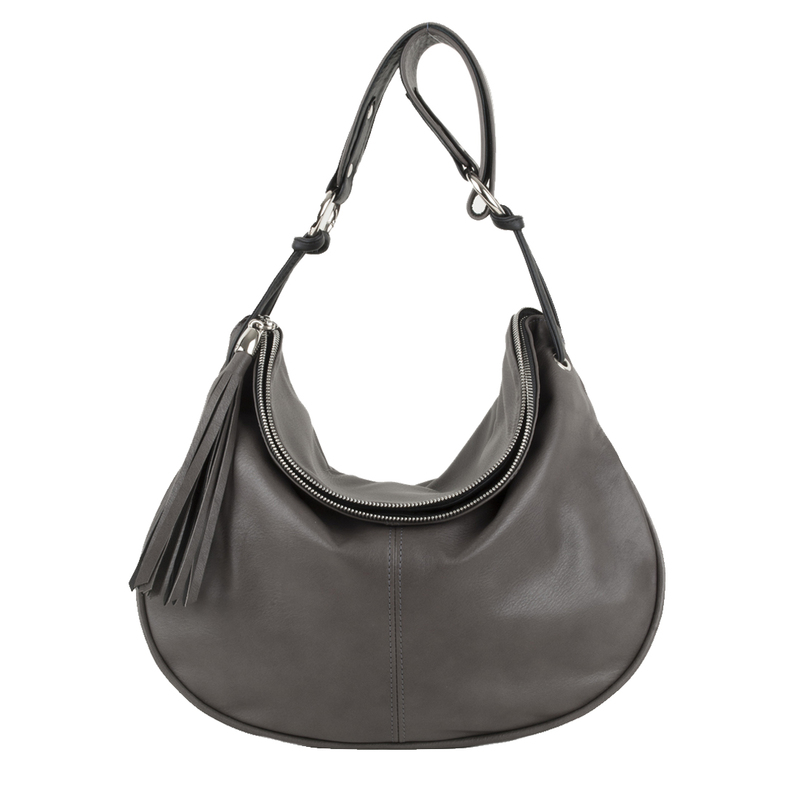 You can use the Matilda as an across the body bag and a shoulder bag with the detachable strap, see model shot. 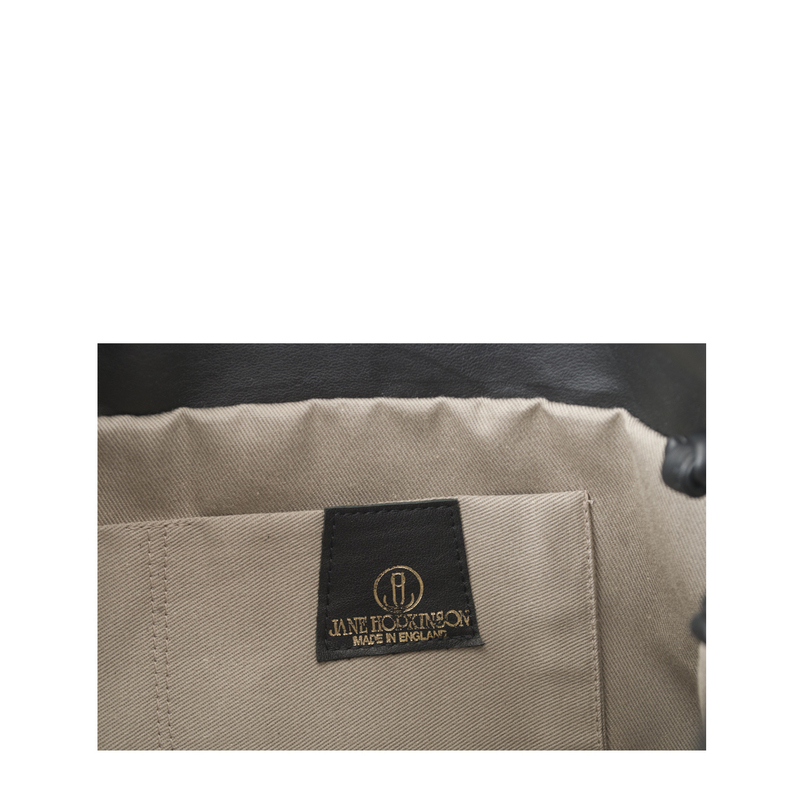 She has a cotton drill lining, inside zip pocket and mobile phone holder.